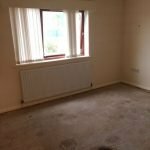 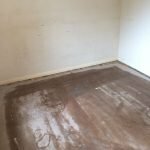 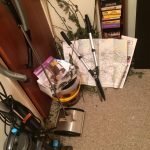 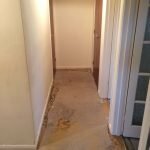 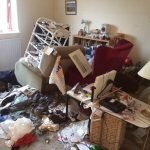 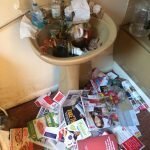 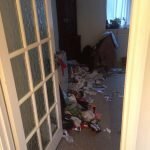 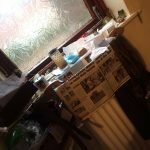 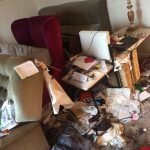 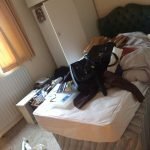 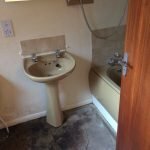 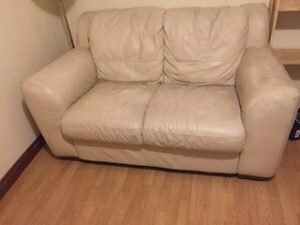 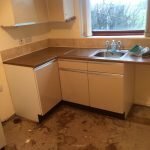 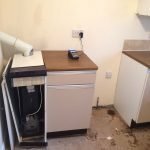 House Clearance Service In Beeston Attenborough Bramcote Chilwell Toton. 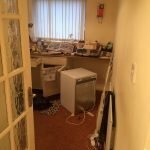 As well as clearing the usual furniture these small items will also need clearing – A silver Breville multi use food processor, A French Renaissance revival marble topped side table, A Le Creuset stoneware teal blue utensil jar, A pair of three arm chrome and frosted glass ceiling lights, A Bosch Pst 650 jigsaw, A large black Non stick cast iron round skillet frying pan, A floral modern contemporary cream rug 120x330cm, A brand new William Morris table cloth. 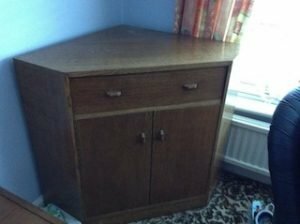 A small solid wood corner television unit, having one drawer above a double cupboard. 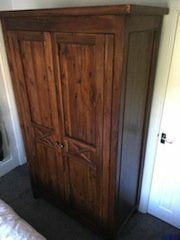 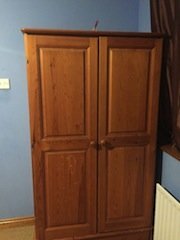 A tall standing solid oak double wardrobe, with shelves inside. 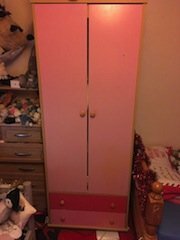 A tall standing pink wood children’s double wardrobe, having two small drawers to the base. 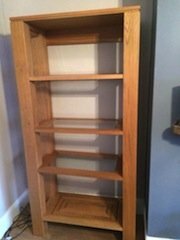 A tall standing solid oak and glass bookcase, having three removables shelves. 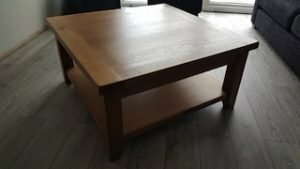 A large square solid oak coffee table. 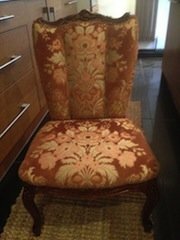 A vintage Queen Anne style solid oak occasional chair on splayed legs, upholstered with damask patterned fabric. 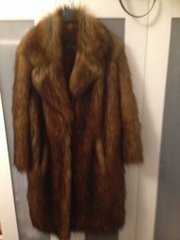 A vintage real fur calf length winter coat, approximately a size UK 10. 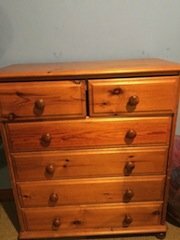 A tall standing solid pine bedroom chest of drawers on ball feet, having two small over four large drawers. 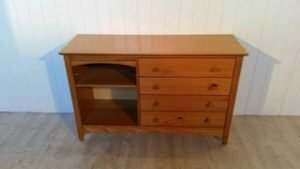 A small solid pine unit, having four drawers aside two shelves. 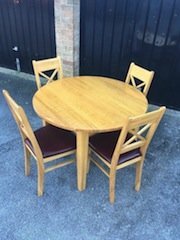 A small solid wood circular dining table, together with four matching cross back dining chairs, upholstered to the seats with maroon faux leather. 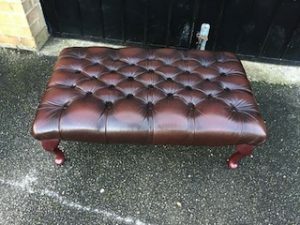 A vintage rectangular Chesterfield footstool on mahogany splayed legs, upholstered in authentic leather with button detailing. 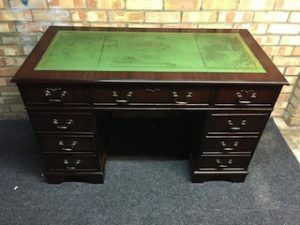 A vintage solid mahogany three piece green leather topped desk, each drawer with brass handles. 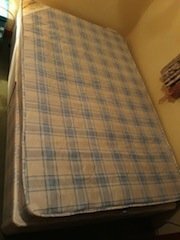 A double divan bed base and matching mattress, having two storage drawers in the base. 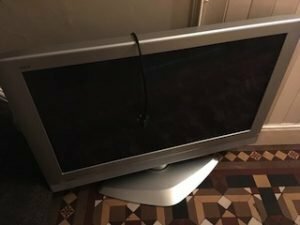 A silver Polaroid 26 inch flat screen television, with built in DVD player.